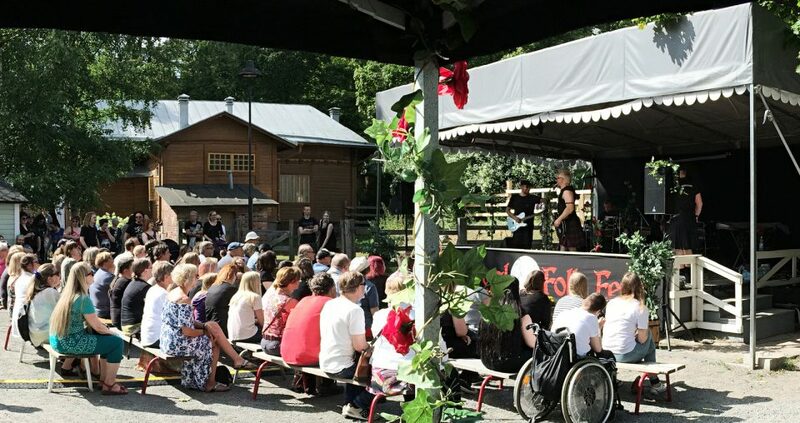 Medieval Folk Fest was celebrated at the Tampere Stable Yard in an exceptionally beautiful weather for this summer, and with an estimated 4500 visitors broke all the past years’ records. Big thanks to all the great performers! Sorrowhearts and O’Rives, old friends from previous years were in good shape also this time around, as did Rachel Rodwell and Richie Raja-Aho who very rarely perform together. Great thanks also to the new acquaintances, wonderful Mamyth for whom this was their first ever show in Tampere, as well as Mauve Claret for whom this was their first show ever, period. In addition, we would like to thank the participating artisans and merchants, of whom there was also a record number, the staff of Tallipiha, and most of all the visitors! 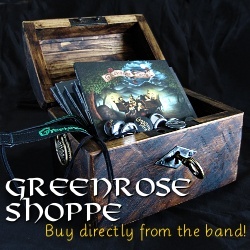 Greenrose Faire had the pleasure of hosting the festivities, as well as celebrating their brand new 10th anniversary compilation album “Decade of Songs and Stories“. Keep an eye open for next year’s festival, for they be a-coming!